They say a YouTube video is worth a thousand words. Well, I just said it anyway. 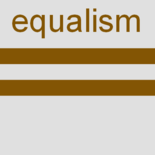 This entry was posted on 10 August 2017 by Nick Child in Equalism in general, Gender.